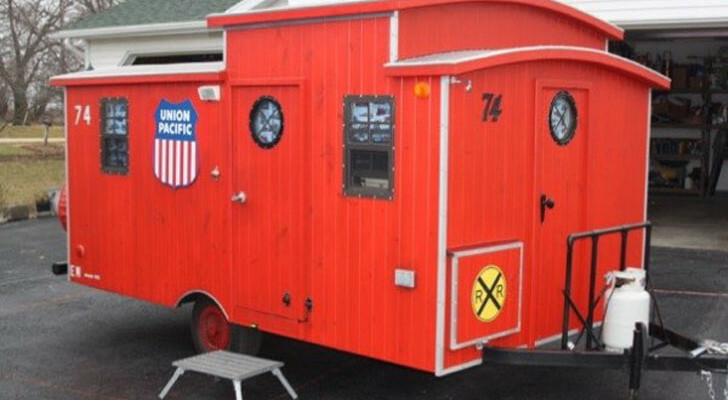 These RV LEGO Sets Are Sure To Delight Your Special LEGO-Lover. No need for electric hook-ups. These solar items can easily absorb energy from the sun to cook food, charge your phone and more. Solar accessories make going off-the-grid super easy. You can get a wide variety of items that harness the power of the sun to charge everything from your phone to your tablet. They can also absorb sunlight to cook your food, heat up the water for your shower and more. 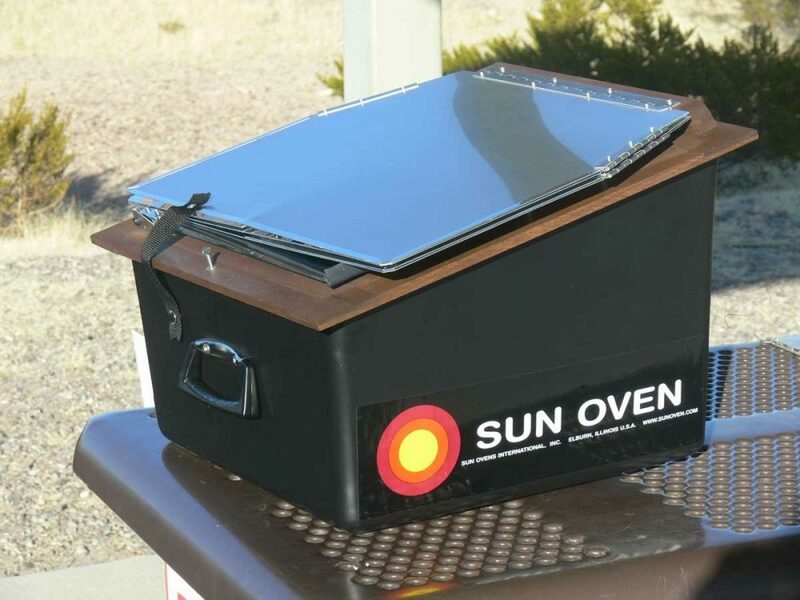 These Sun Ovens can be used to bake everything from pizza to bread, meats, and desserts. 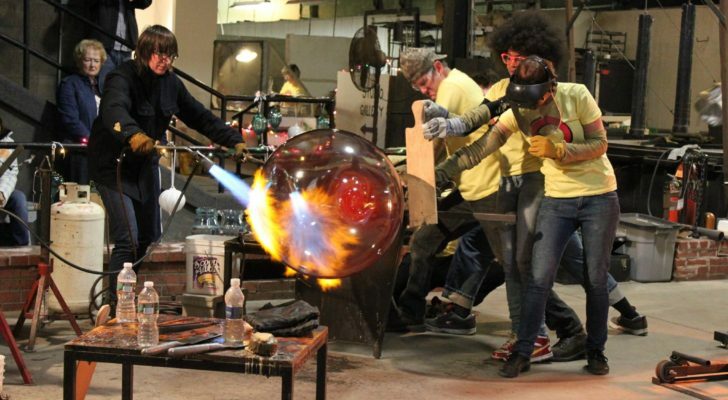 They’re made with mirror-like aluminum reflectors, and on a sunny day will heat up to 360-400 degrees F almost as fast as a conventional oven. They’re available on Amazon here. 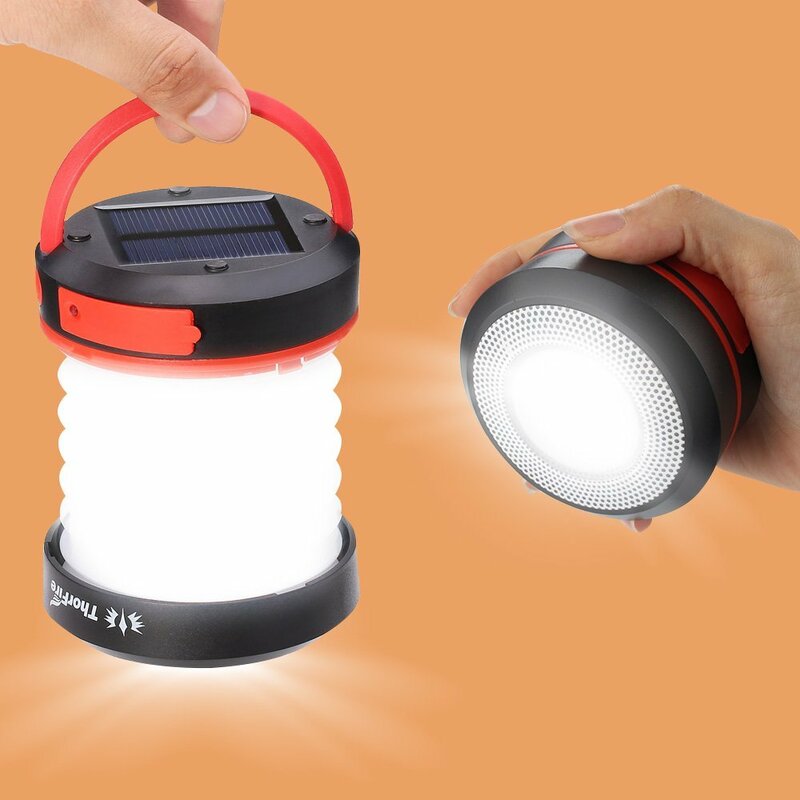 Campers and backpackers love these portable lights because there’s never any worry they’ll run out of batteries. Rather, they’re solar-powered and USB-rechargeable, not to mention, compact and collapsible. You can expand them as a lantern or fold them down as a small (but powerful) flashlight. They have three light modes and last for about eight hours on high. ThorFire’s lights cost about $16 on Amazon. 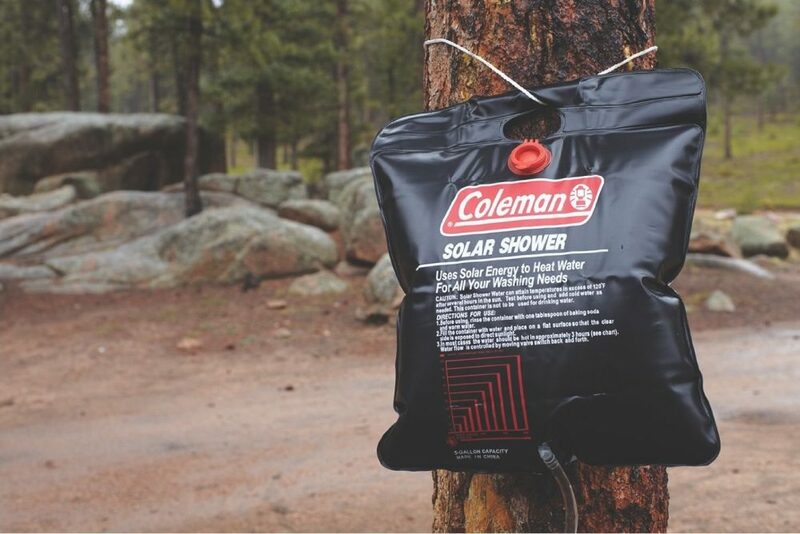 Coleman’s Solar Showers are perfect for camping and boondocking trips. They hold up to about five gallons of water and heat it up using solar energy. The showers come with a sturdy handle so you can hang them up from poles or trees, and an on/off valve so you can conserve water as needed. They’re only about $10 on Amazon. 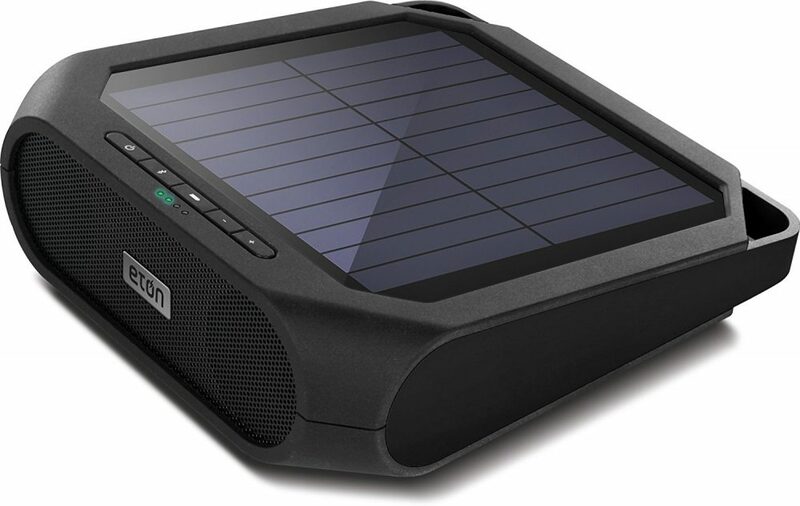 Music fans, check out these solar speakers from Eton. They’re Bluetooth-ready and can also charge your smartphone. The devices have two full-range speakers and an internal battery that keep them powered for up to eight hours. 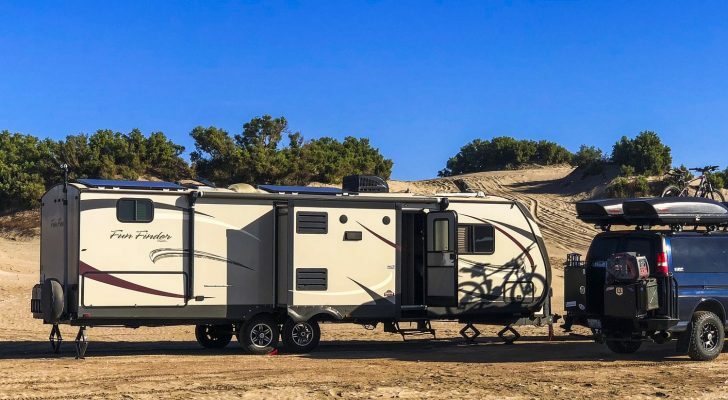 You can take them anywhere: camping, out on the trail, on the boat, or just out by the pool. Read more. With seven uses in one device, these are the ultimate solar-powered appliances for camping. 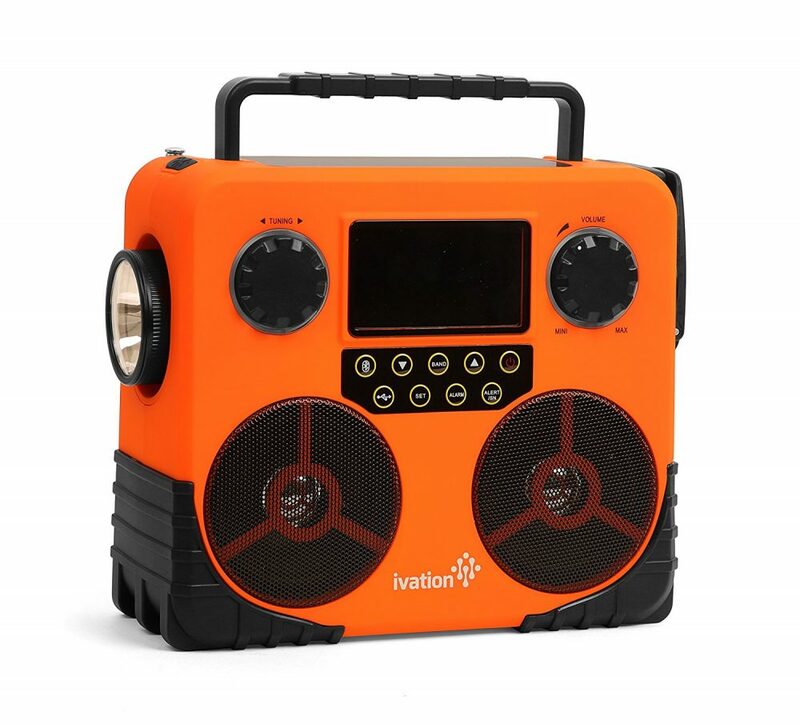 They serve as a Bluetooth speaker, smartphone charger, emergency signal and weather radio, flashlight, alarm, date, time and temperature reader. 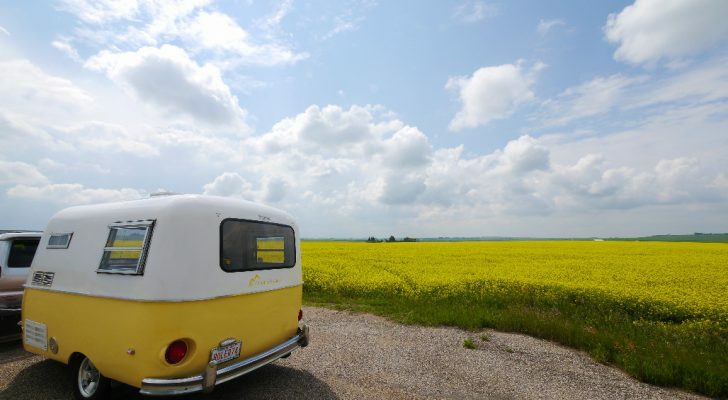 Aside from the solar panels, they also have an adapter and hand-crank so they can be powered no matter where you are. Find them here. If you drive after dark a lot, you’ll love these light-up cup holders. They fit in most cars, and are powered either by solar energy or USB. 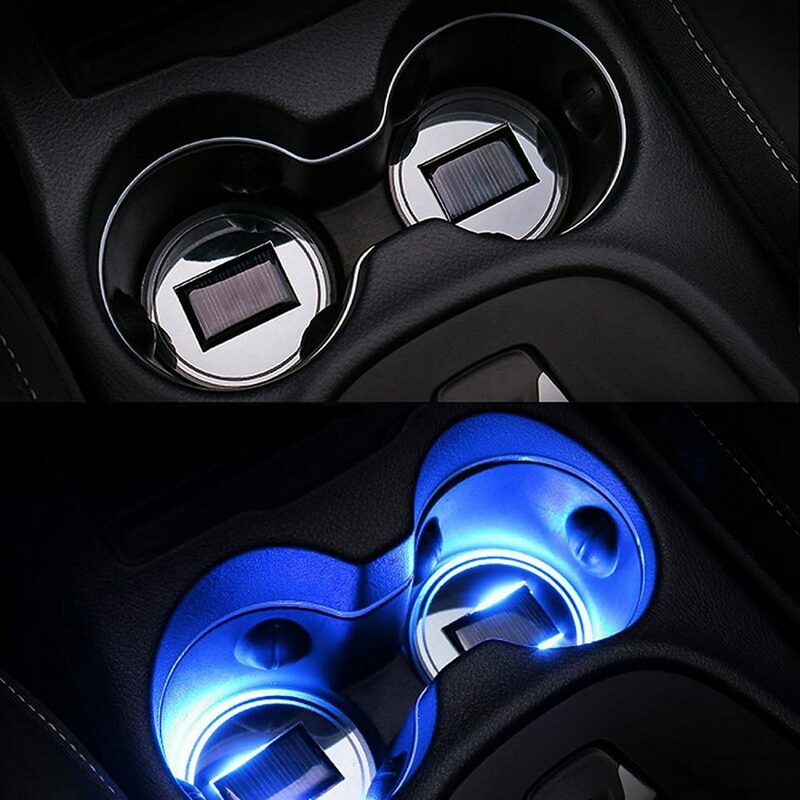 The holders sense light and vibrations, and shine a bright blue light after it’s dark and your car is moving. If you do need to turn them off, they have an on/off button on the bottom that can be easily pushed using a pen. Get them online here. Not sure what to do with all of those empty mason jars? 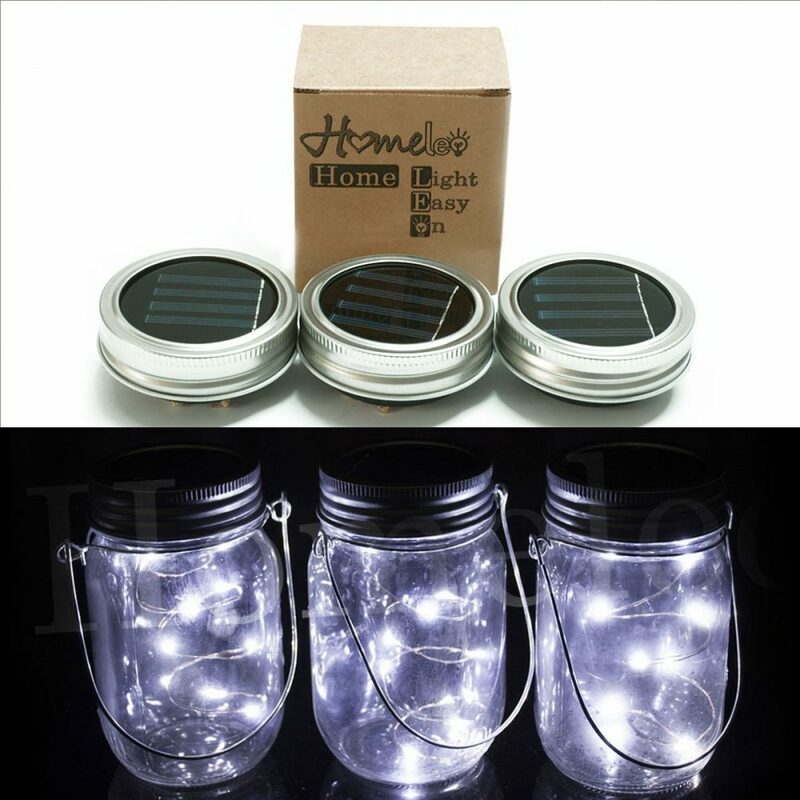 Try making them into fun light-up decorations with these solar-powered lids. They come with solar panels on top that absorb sunlight on sunny days. Leave them out for 5-8 hours and they’ll stay lit for up to about 6 hours. 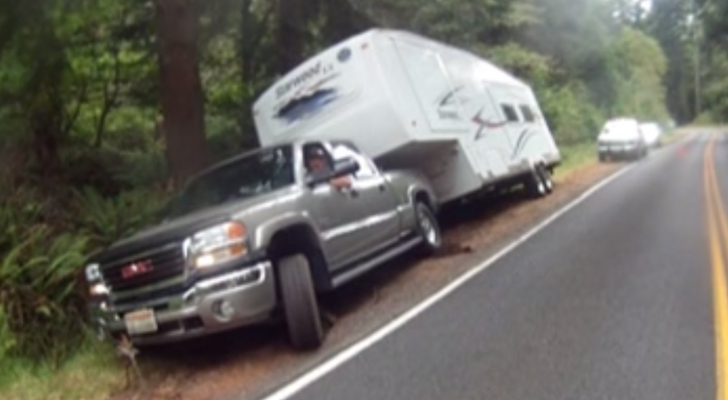 You can take them out camping, or leave them around your RV, home, garden or patio. They’re available in a 5-pack online here. 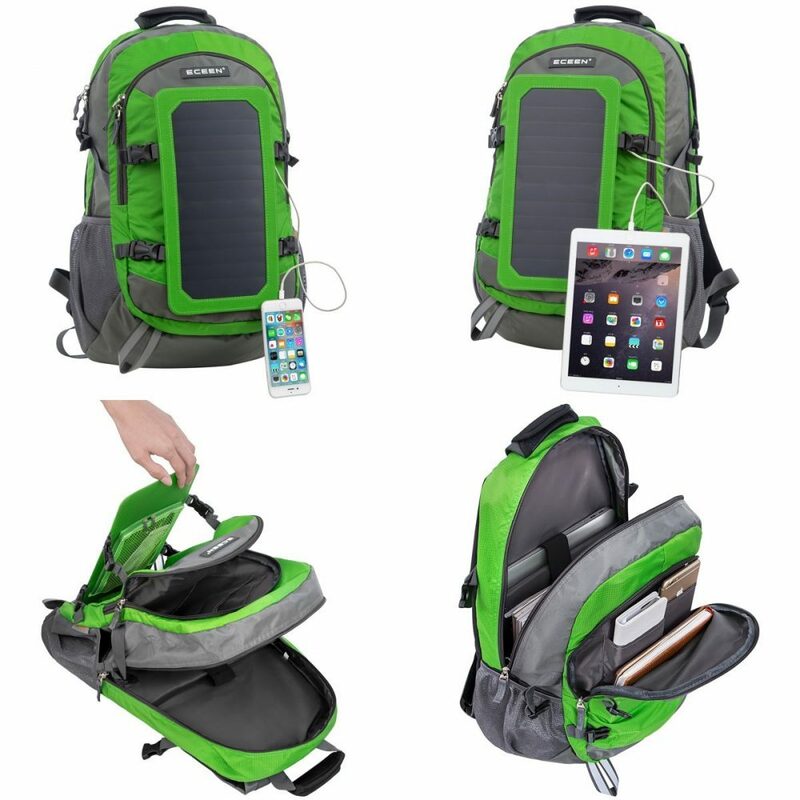 Any outdoor enthusiast could use these solar backpacks from ECEEN. 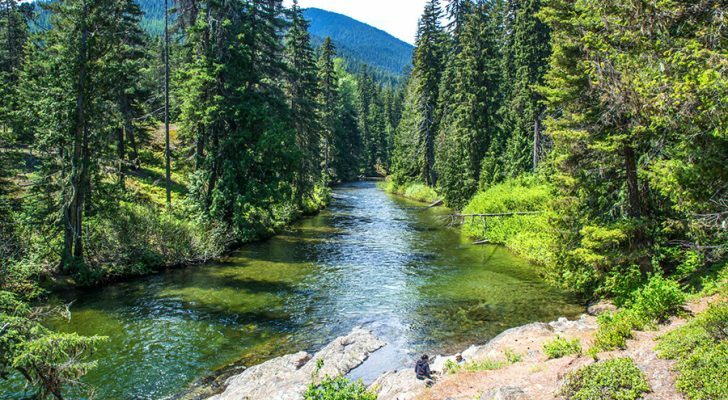 They feature lots of compartments for maps, snacks, and all of your hiking, camping or fishing gear. 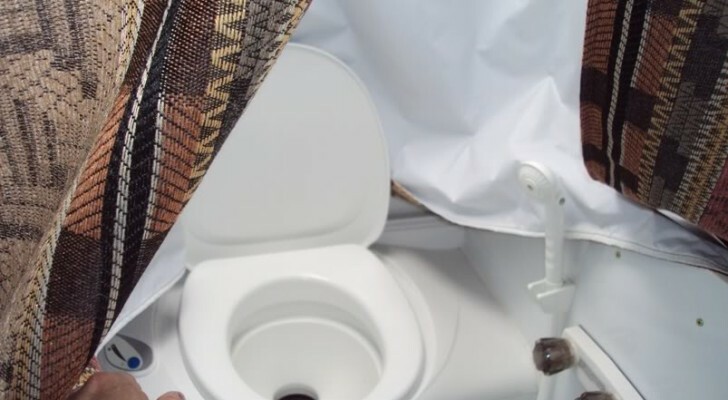 The fabric is made with 7-watt solar cells that can absorb enough power to charge your phone or tablet. On cloudy days, they can also tap into their 10,000 MaH Powerbank. 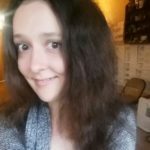 Check them out on Amazon. 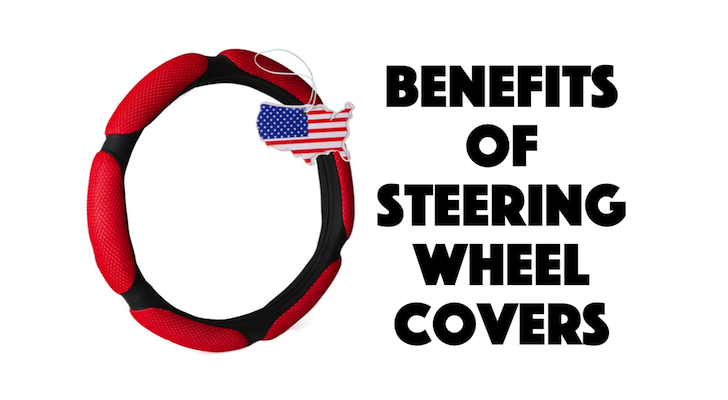 If you like these accessories, check out these must-haves that cost $50 or less.